If you shoot rifle, handgun or both, just like to plink or compete, SSAA Practical Shooting SA is the club for you. We have 4 ranges stretching out to 500m, laden with a variety of targets for all day practice, plinking and sight in. Its thrilling making steel targets ring at ranges you never imagined. All shooters warmly welcome to bring any rimfire or centrefire up to 8mm and come and try this exhilarating sport. Practical Shooting is fast, fun and exhilarating which is why it’s one of the fastest growing shooting sports in the world. Practical Shooting is where the competitors are trying to unite the three principles of precision, positions and speed to score as many points as possible during the given amount of time. The courses are called “stages”, and are shot individually by the shooters who must move and shoot from several positions, fire under or over obstacles and in other unfamiliar situations. 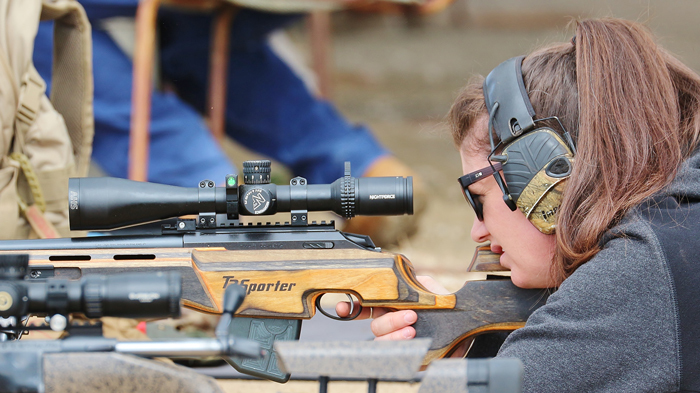 There are no standard exercises or set arrangement of the steel targets, and the courses are designed so that the shooter must be inventive, and therefore the solutions of challenges frequently varies between shooters. We operate under the SSAA Practical Shooting Rule Book, with various modifications to suit the local range. We have a calibre limit of 8 mm (.323) and a muzzle velocity limit on our steel targets of 3200 fps. We shoot on the first Saturday and Sunday of each month. All day practice, plinking and sight in from 9:30am. Rifle Competition from 1pm. Handgun matches from 11am. We also open mid-month and on request if available. See our Calendar. Visitors warmly welcomed and your first visit is free. Come along and check out one of the fastest growing styles of shooting in the world!